Can I Push a Regular Stroller While Jogging? Calories Burned During "Sweating to the Oldies"
When Can You Teach a Child to Roller Skate? Many children show an interest in roller-skating because everyone else in their family engages in the activity or they see their friends enjoying the sport. Consider your child’s gross motor skills, balance, coordination and willingness to practice before investing in a pair of skates. Roller-skating together is an amusing and healthy way to spend time together as a family. Once your child is able to handle the basic skills involved in skating, she can join you and your family in skating around your neighborhood or at the local park. Many schools, daycare facilities, churches and communities plan events at roller rinks, therefore learning the skill is a wise way to increase her social skills. If your child exhibits good balance when walking and running, she is likely ready to don a pair of roller skates. 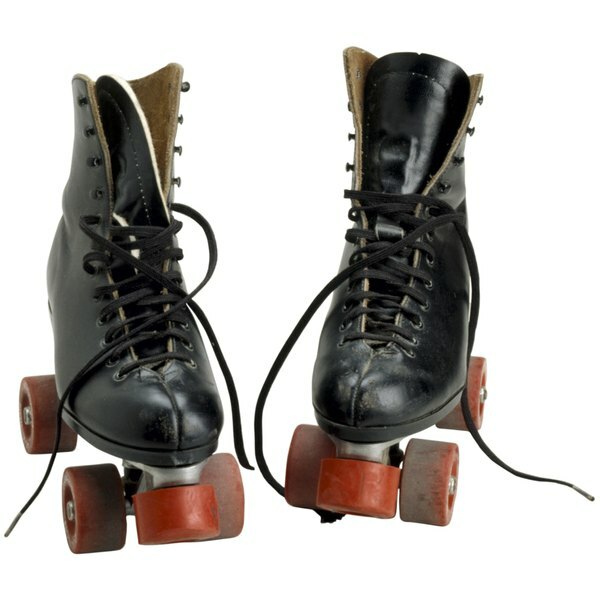 According to the Special Olympics website, roller skating is an effective way to strengthen a person’s cardiovascular system. The exercise also helps the develop coordination and balance. This is important for children as well as adults. Many parents fear that their child will get hurt by roller-skating, but most injuries occur when the youngster collides with another skater or loses control, as stated by the National Institutes of Health website. Therefore, avoid skating in a crowded area until your child learns the necessary skills to make collisions less likely. Wearing appropriate safety gear like a helmet, knee and elbow pads decreases the risk of injury if the child loses control while skating. Wrist guards are also important safety gear, as suggested by the Fisher-Price website. Your child is likely to fall many times before becoming proficient at skating. The proper safety gear helps prevent serious injuries. Reassure her that skating – like many other skills – takes practice and perseverance. Some children show an interest in roller-skating as young as 4 or 5- years-old. According to the Healthy Children website, adult supervision is necessary for any child under the age of eight while participating in skating and activities like skateboarding or riding a scooter. Hold your child’s hand while she is learning the basic skills. Another effective way to help her learn the skill is to support her underneath her armpits while skating behind her. National Institutes of Health: Roller Skating -- Is it a Dangerous Sport?